Keep the heat out of the kitchen but bring it into your mouth with these grilled Thai wings. 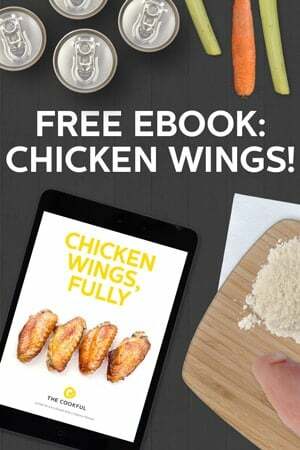 Have you wondered if you could grill chicken wings? Well, grilled wings taste just fantastic and they take only a tiny bit of prep. During the summer, I prefer to cook wings outside as often as I can. 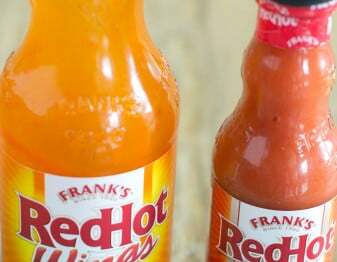 It keeps me from heating up the kitchen, and the smoke from the grill adds the perfect touch to hot wings. 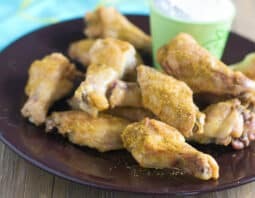 The sauce I’ve put on the wings today is just the perfect thing for summertime too. It’s got some sour and some heat. You can see a whole photo-tutorial on how to grill wings over here. But quickly, here’s my version. 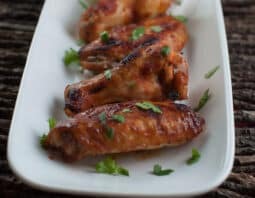 Grilled wings require only a small amount of prep: You may need to cut the chicken, and you can marinate it, but when you grill wings you don’t need to par-cook them the way you do with baked wings. I find that about 20 to 25 minutes on a grill at around 350ºF is sufficient to cook the chicken properly. This is a medium temperature. 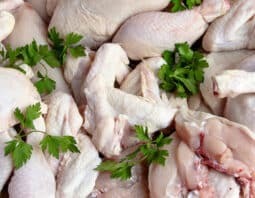 If you cook at a higher temperature, you may get flare ups, and the chicken may burn on the outside and not cook on the inside. 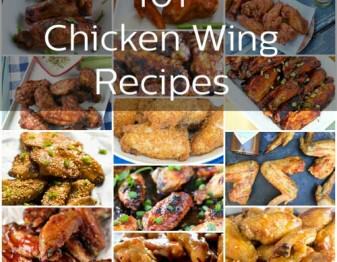 Note that the cooking times can vary on the size of the wings. 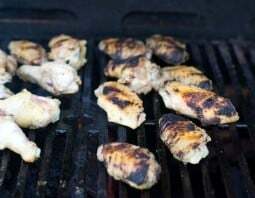 I typically cook my wings on a gas grill. So I simply light the grill and let it come up to the proper temperature. 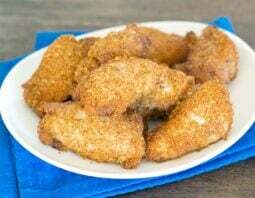 When I put the wings on, I close the lid, and about halfway through the cooking process, I open the lid, flip the chicken over, and then I begin to monitor it, so it doesn’t overcook. 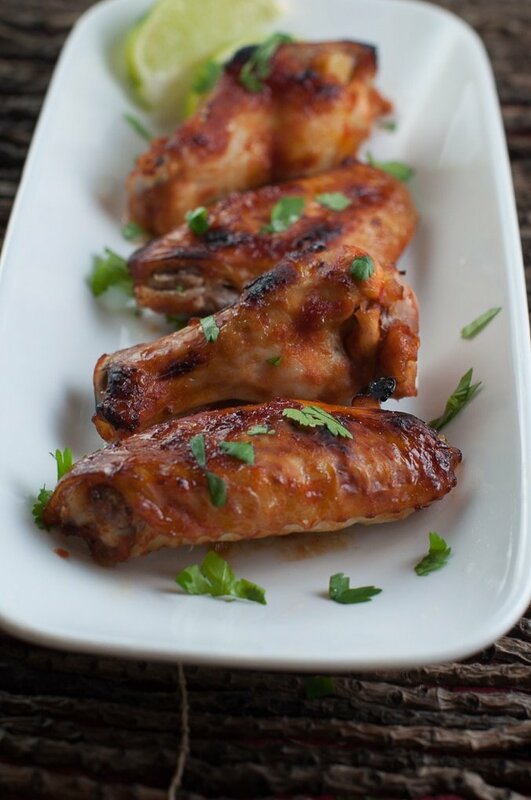 You may want to use a meat thermometer to make sure you cook the wings to the proper temperature. Pierce the chicken at the thickest part of the meat and then make sure it reaches 165° F. You can remove the chicken when it hits 160° F and then cover it with foil. It will continue to rise in temperature to 165° F.
Cut the wings into drumettes and flappers. 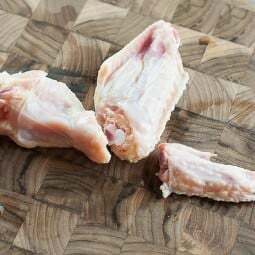 Save the wing tips for stock preparation or discard them. In a small bowl combine the chili sauce, hot chili sauce, soy sauce, fish sauce, lime juice, garlic and ginger. Stir to blend the sauce. 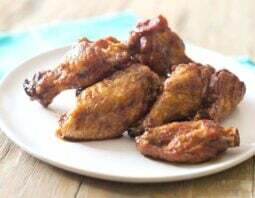 Pour sauce over wings. If desired, you can allow the chicken to marinade in the sauce for about 30 minutes before cooking. Preheat grill to 350°F. 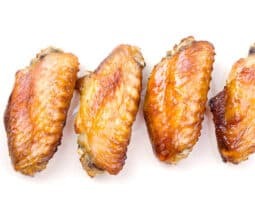 Drain wings on a wire rack when they are removed from the marinade. 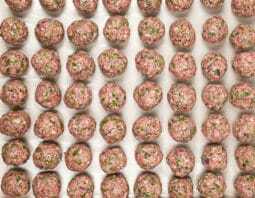 Removing excess marinade will help prevent flare-ups. Place chicken on the hot grill, cook for about 15 minutes, turn over chicken, and cook for another 10 minutes. Monitor it carefully after about the first 10 minutes to make sure it isn't burning underneath. 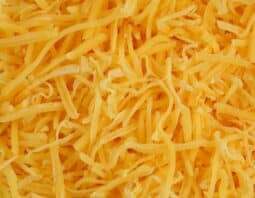 Serve with cilantro and lime wedges if desired. This post originally appeared in January, 2016 and was revised and republished in February, 2017. Stephanie Manley is the creator of Copy Kat. She recreates your favorite restaurant recipes so you can make them at home. Stephanie is the author of "CopyKat.com Dining Out At Home I & II." You can watch her videos on Youtube as she demonstrates many of her readers' favorite recipes.